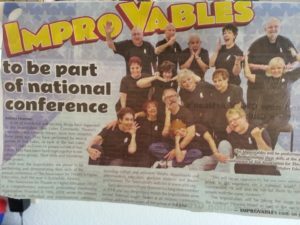 The Sun Lakes ImproVables began in October, 2011, as a class in improvisation. We met twice a month and worked out the curriculum as we went. 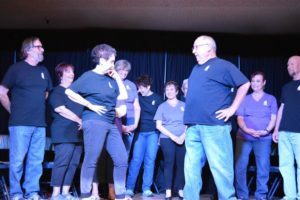 The originators of this group were Howard Hummel, Andrea Hummel, and Phyllis Novy, all retired drama teachers, actors and directors. In 2012, we felt confident enough to perform publicly and began to do shows around the Sun Lakes area. Since then, we have performed about six times a year, including a workshop at the Association for Theater in Higher Education conference held in Scottsdale in 2014. 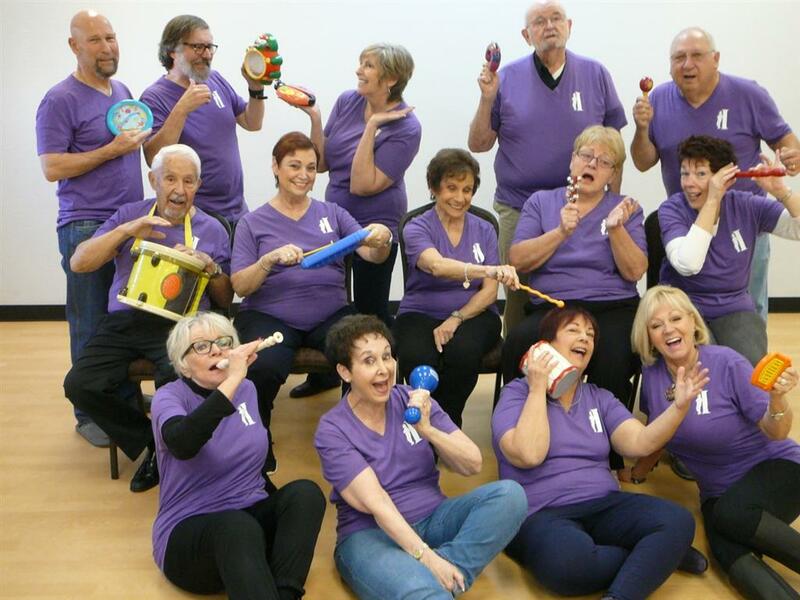 We have also performed for community groups, senior citizen centers, community colleges, and even on board a cruise ship in 2014. 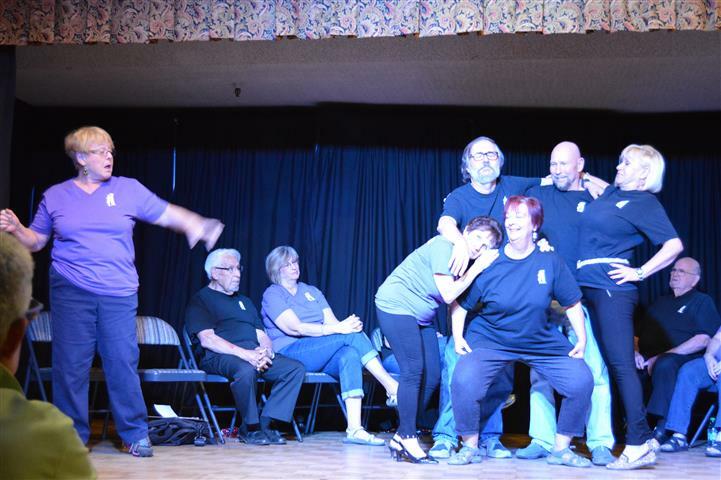 As far as we know, we are the only performing improv troupe composed entirely of senior citizens, so who says old folks don’t have a sense of humor! Improvisation is a wonderful activity for seniors, especially those who find learning lines a bit more challenging than it used to be. 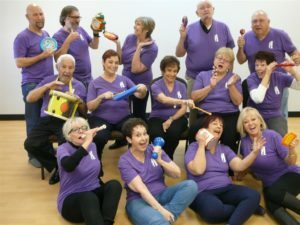 Generally the seniors in our group find the activities to be mentally stimulating and a wonderful way to play and grow with like-minded seniors. Although our group is less physical than younger performing groups, we begin each practice with warm-up activities stressing mental, vocal and physical exercises. We are careful to wear comfortable, rubber-soled shoes and bring water to stay hydrated. We practice and learn in a safe, nurturing workshop environment. We love what we do, we love sharing and we have become very close. All of us feel that improvisation has enriched our lives.